Imagine, for a minute, that you have a store on the high street and that your customer makes a purchase. You will then place that in a bag, for your customer to take it out, where they will encounter hundreds if not thousands of other people. Or imagine that you have a stall at a certain fair or networking event, and you have some samples of products you have developed, or documentation of interest to hand out. 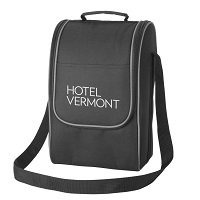 Again, you can provide this to your customers in a bag, which they then take with them while they meet other people in the event. 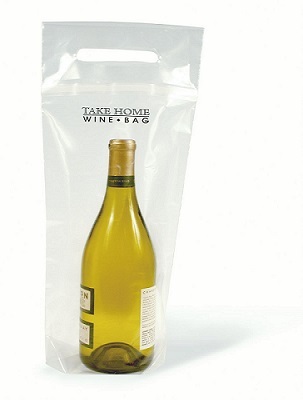 Now imagine for a minute that this bag is a form of advertising that other people will immediately notice and be interested in. 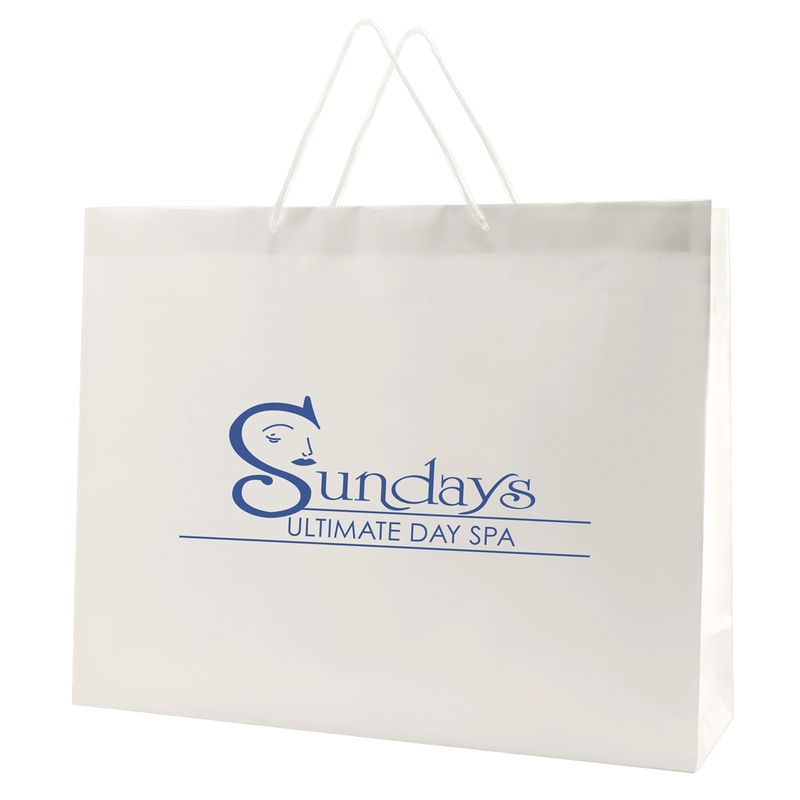 That is exactly what our White Gloss Laminated Eurotote Bag (16"X6"X12") can deliver for you. 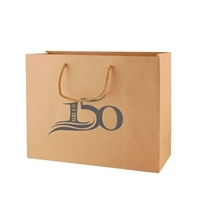 Made from 180 GSM gloss laminated paper in white, the bag is truly eye catching. It can also be printed with your store or business' name or logo, which will stand out tremendously against the white backdrop. People in the above scenario cannot help but notice it, which means you are benefiting from this effective marketing tool. 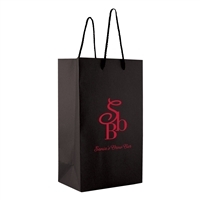 The bags are firm favorites with many of our own customers due to their effectiveness, but also due to their high quality. 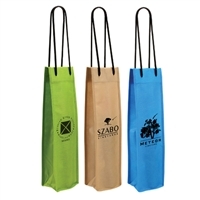 They come with matching cotton blend macrame handles and are reinforced with a fold-over top and cardboard bottom insert. 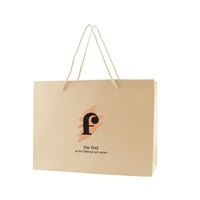 Hence, you know that when you do provide your customers this bag to carry their purchases in, it will last for a long time.